London, United Kingdom | AFP | Ole Gunnar Solskjaer said David de Gea was making a case to be considered Manchester United’s greatest-ever goalkeeper after he produced a masterclass on Sunday to protect his side’s 1-0 lead against Tottenham. 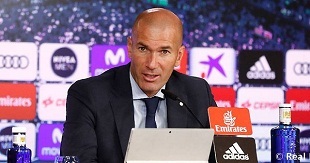 The match at Wembley pitted two of the bookmakers’ favourites to permanently replace Jose Mourinho against one another but it was the interim United boss who came out on top against Mauricio Pochettino. Marcus Rashford scored the only goal in the 44th minute of a thrilling encounter and Paul Pogba impressed but the performance of the Spanish goalkeeper will live long in the memory. He made 11 saves — the most he has made in a top-flight league match without conceding a goal — leaving Spurs players holding their heads in disbelief on multiple occasions. 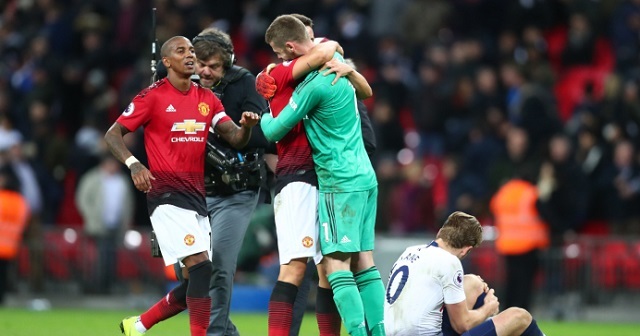 Solskjaer hailed De Gea as “the best goalkeeper in the world” but also praised his team’s defensive resilience and team spirit. “We’ve had some great ‘keepers at this club and I think he’s challenging both Edwin (van der Sar) and Peter (Schmeichel) for the number one spot historically, he said. “The win here was massive, the team spirit was massive, the belief and the joy in the dressing room absolutely fantastic,” added the Norwegian, who has equalled Matt Busby’s record of winning his first five league games in charge of United. But the result is a devastating blow for Tottenham, who again came up short when the pressure was on and remain nine points adrift of Premier League leaders Liverpool. Pochettino praised his side despite their defeat. “Tottenham did everything to win the game,” he said. “Maybe we dominated and we created a lot of chances. It was an amazing second half, I am so pleased. Earlier, Tottenham settled quickly into their fluid passing game, enjoying the bulk of possession and went close to opening the scoring through Harry Winks before Jesse Lingard fired over from close range for the visitors. United, with Lingard, Anthony Martial and Rashford racing forward at every opportunity, looked dangerous on the break. Spurs striker Harry Kane had a close-range effort correctly ruled out for offside just after the half hour.